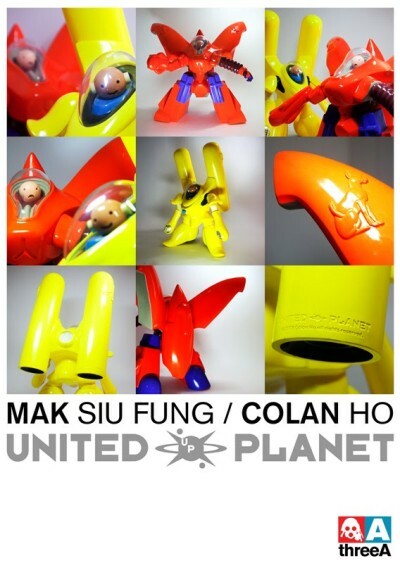 Spied on 3A Production Blog is this unusual collaboration with Colan Ho and Mak Siu Fung of United Planet. Very large (20" tall!) 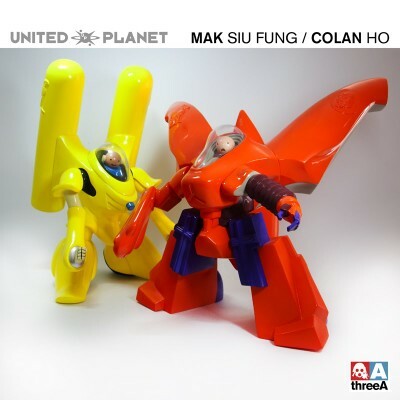 and very colorful, but kinda Fisher Price characters provide an interesting juxtaposition for a toy company that has thus far only produced realistic, weathered robots and 1/6 figures. I like the colors and designs of the mechs. I can live with the Fischer Price pilots and even the size of these behemoths, but i'm expecting some decent articulation to go along with it. Any accessories or weapons would be welcome too. Nonetheless, I'm very interested to learn more about these guys.